Semcac Senior Nutrition partners with SHIP in Rice, Goodhue and Wabasha Counties. Rice, Goodhue and Wabasha counties supported the purchase of food processing equipment to enhance nutritional content, serve more local foods, and improve taste in Senior Dining Centers. If you would like information on what it means to partner with Wabasha County SHIP, please email Tina Moen or call her at 651-565-5200. Wabasha County Food Access Network becomes Food Charter Champions. The Minnesota Food Charter is roadmap to healthy, affordable, and safe food for all Minnesotans. It’s a tool to create healthy, prosperous communities and it offers ways to ensure that nourishing food is accessible today and for future generations. Wabasha County Food Access Network, with the support of Wabasha County Statewide Health Improvement Partnership (SHIP), has been busy implementing work in each of the areas found in the Minnesota Food Charter. The Network started organizing in June 2016. The first meeting was brought together by Sara George, Minnesota Food Charter Champion and Strategic Team member, and was hosted by SHIP. Attendees included WIC, Social Services, Wabasha County Public Health, 3 Rivers, U of M Extension, Saint Elizabeth’s Medical Center, Housing and Redevelopment, and many more. During the kick off meeting, Sara asked “What are you proud of that your organization does or that you do? What do you wish you could do better?” The group learned there are a lot of great things happening throughout the community and they generated many ideas the group could support and chose to move forward with quarterly meetings facilitated by Tina Moen, SHIP Coordinator. During our second meeting in October 2016, U of M Extension SNAP-Ed, Annette Shepardson, presented Minnesota Food Charter to the group. In August 2017 Michael Dahl, Director of Minnesota Food Charter, joined the network to discuss in more depth the 5 strategy areas within the charter: food skills, food affordability, food availability, food accessibility, and infrastructure. U of M Extension SNAP-Educator, Annette Shepardson, offered multiple Nudging to Health trainings and a Cooking Matters in Your Food Pantry toolkit has been offered to volunteers. This opportunity has sparked partnership and positive change at emergency food systems. Nutrition classes have been offered to food shelf and SNAP eligible residents, but attendance was low. A sub-committee met to brainstorm attendance solutions. Annette assessed the clients’ needs and made modifications to pilot shorter lessons to be held on the days clients were already at the food shelf. When there are no participants, time is spent with volunteers. Annette indicated that this results in relationship building with food shelf and the volunteers. We are celebrating that 41 clients did taste testing/mini lessons May-September 2018. Lake City Public School’s students are experiencing new food skills through the kick off of a year-round greenhouse, which opened spring 2017. This has served as a tool for students to learn where food comes from, and a greenhouse course is being implemented this fall. This Tiger Time Childcare Summer Program cared for the plants, and prepared and ate the produce. Tiger Time students and staff have been utilizing a SHIP supported school-based agriculture project at the elementary school since the 2015. The school hopes to collaborate with Lake City Market by the Lake to learn how to sell produce at the market. 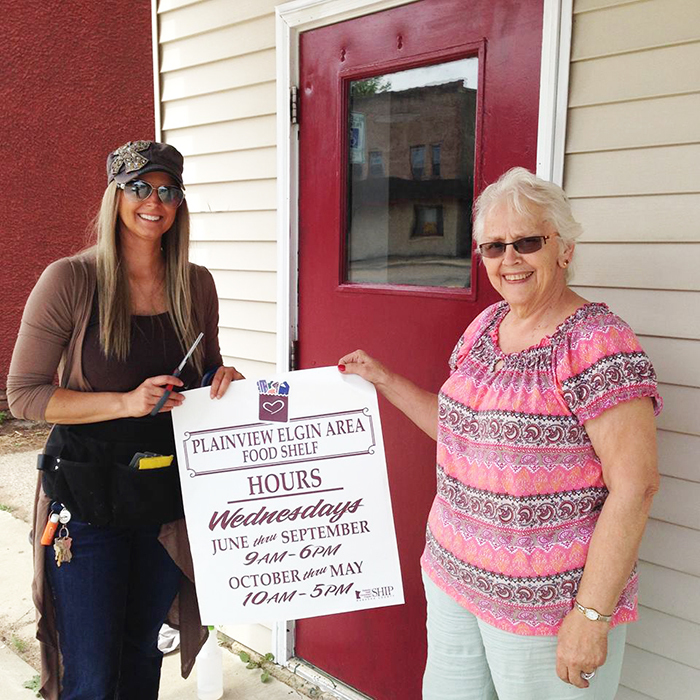 Plainview-Elgin-Millville School District implemented a SHIP supported school-based agriculture project for their SACC (School Age Child Care) program in 2015. The students tended to the garden with the help of the adult SACC workers as well. The students pulled weeds, harvested their vegetables and made snacks. 38 Wabasha County child care providers have been offered Farm to Child Care or Coordinated Approach to Child Health (CATCH)-Early Childhood Healthy Eating trainings, technical assistance and resources. PoP Club was implemented by Wabasha Farmers Market and Lake City Market by the Lake in 2017. The PoP Club Program allows kids ages 4-12 to receive a free $2 token to spend on fruits and vegetables at each market. “Whole families are learning about and experiencing new foods. We are seeing the kids challenging their parents to try new things! It’s so fun to see the smiles on these kids!”-Sara George, Wabasha Farmers Market Manager. Wabasha Farmers Market and Lake City Market by the Lake work hard to offer services for people with the greatest inequities and disparities. Wabasha Farmers Market was able to accept Electronic Benefits Transfer (EBT) effective May 2013 and the work continues. Starting in May 2016, the market was included in the WIC Farmers Market Nutrition Program (FMNP) and is now able to accept FMNP and Senior-FMNP vouchers. With SHIP support, Lake City Market by the Lake accepted EBT in spring 2015. U of M Extension SNAP-Ed and Wabasha County SHIP teamed up to support the Wabasha Area Food Shelf. As a result, they have been working on the following projects: Developing a website, creating a list of suggested healthy food donations, designing placement of food in the food shelf, food storage, adding signage, and making gradual changes to the foods offered. Lake City Food Shelf is an active member or our Food Access Network and we were fortunate enough to have one of their participants come and speak to us about stigma around using benefits and emergency food systems. Semcac (South East Minnesota Community Action Agency) Senior Nutrition partnered with SHIP as a result of a Wabasha County SHIP Health Equity Data Analysis. (HEDA). The purpose of the HEDA was to answer “why do low-income seniors report eating fewer fruits and vegetables than higher income seniors?” Rice, Goodhue, and Wabasha counties supported the purchase of food processing equipment to enhance nutritional content, serve more local foods, and improve taste in Senior Dining Centers. Through the Wabasha County SHIP Worksite Wellness Collaborative project, three employers created designated breastfeeding rooms. One of these employers became a designated Breastfeeding Friendly Workplace and the other two worksites are considering applying to become Breastfeeding Friendly Workplaces in the next year. Farmers’ Market Food Aggregation was developed into a project when Wabasha Farmers Market obtained a Wholesale Food Handler’s License which allows farmers markets to aggregate (or combine) and sell healthy foods to local businesses such as schools, hospitals, child care facilities and restaurants. The effort kicked off after three years of working to break through barriers. With support of Renewing the Countryside, this project expanded to nine other markets in Lake City, Cannon Falls, Rochester, Elk River, Chisago, Cook, Aitkin, Grand Rapids, Richfield (and Wabasha). Wabasha County SHIP funded the addition of Local Orbit, an online ordering platform, for Wabasha and Lake City locations. Lake City Thursday and Lake City Saturday Market combined under one umbrella Lake City Market by the Lake with SHIP support in 2017-2018. The goal was to increase EBT usage and awareness and increase local healthy food access and awareness. With funding from the Farmers Market Promotion Program (FMPP), they piloted free transportation to the market in 2017. The market did not continue that initiative due to cost. This year, they worked to promoting HART volunteer transportation to get customers to the markets. A representative from HART –Hiawathaland Auxiliary Transit presented to the Food Access Network about offering free transportation and seeking volunteers in January 2018. Wabasha Farmers Market found they were attracting seniors to the market due to the WIC Senior Farmers Nutrition Program (SFMNP). Once seniors got to the market, it seemed like they would benefit from places to rest. This was immediately addressed during a Food Access Network meeting when Workforce Development indicated they had chairs they could set out at the market. SHIP and U of M Extension SNAP-Ed share training opportunities and grant with team. Farmers Market Food Aggregation-Wabasha Farmers Market has been a leader in food aggregation. Learn more at the Farmers’ Market Aggregation page. 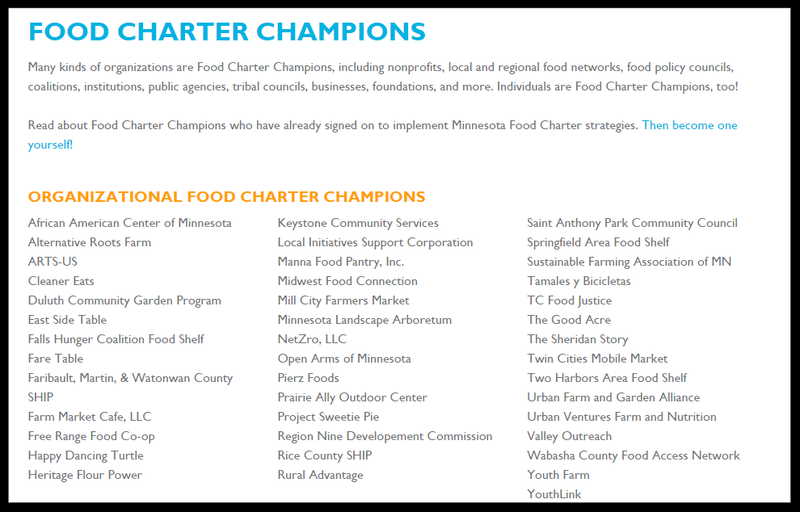 Read about Food Charter Champions who have already signed on to implement Minnesota Food Charter strategies. 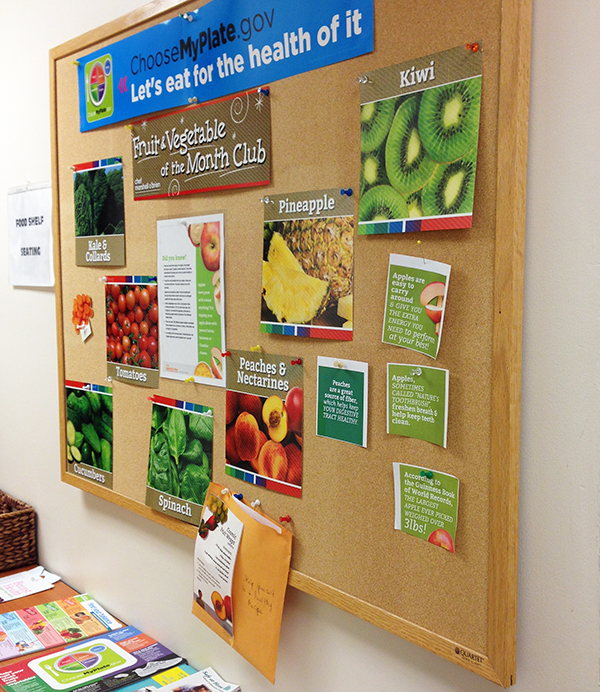 Wabasha Area Food Shelf promotes healthy choices. Wabasha County Statewide Health Improvement Partnership (SHIP) values multiple collaborating partners working together to aide Wabasha Area Food Shelf in increasing access to healthy foods for Wabasha area residents. In January of 2016, the first SHIP grant application was submitted, developed with the support of U of M Extension’s SNAP Educator, Annette Shepardson, following a Nudging to Health training. Since this training, Wabasha Area Food Shelf has been in the process of making the following changes: Developing a website (see frequently asked questions here), creating a list of suggested healthy food donations, designing placement of food in the food shelf, adding signage, and improving gradual changes to the foods offered. SHIP funding has supported the food shelf with purchases such as a glass front refrigerator to keep produce fresh and visible. Collaboration is the key to success. Wabasha Area Food Shelf is a member of the Wabasha County Food Access Network where members explore ways to increase access to healthy eating. SHIP has supported the City of Wabasha and Saint Elizabeth’s Medical Center in Community-Based Agriculture projects and both partners are sharing produce with the food shelf. Wabasha community-based agriculture expands into second year. City of Wabasha, Public Works Department announces YEAR 2 for their community garden located at the intersection of Franklin Avenue & 10th Street East. This year, the annual cost of each food plot (10' by 20') cost $10 and was strengthened with organic fertilizer and tilling. The project now includes raised-bed gardens which will make gardening accessible for more people. Also new raspberry plants and fruit trees will produce fruit available to the public at no cost. Added raised-beds make gardening more accessible for more people. Plan to be involved next year! Choose to plant and maintain a plot offering free produce to the public or to the food shelf, and the cost of the plots will be free. If you would like to mentor someone in gardening, the cost of the plot will also be free. For more information, please contact Wabasha City Hall, and they will put you in touch with garden coordinator, Mickey Nelson. This project was made possible through partnership with Wabasha County SHIP. If you would like information on what it means to partner with SHIP on healthy eating, physical activity and/or tobacco-free environment projects, please contact Tina Moen, SHIP Coordinator at 651-565-5200. Wabasha County Food Access Network analysis on why seniors report reduced access to healthy foods. In 2014, the Wabasha County Adult Survey results showed low income seniors reporting eating fewer fruits and vegetables than seniors with higher incomes. Wabasha County Public Health, with the help of the Food Access Network, questioned county seniors as well as key stakeholders using HEDA (Health Equity Data Analysis) to identify why this is happening. 1. Where are seniors getting fruits and vegetables? 2. Are you satisfied with the access? 3. What are the barriers? Grocery stores, food shelves, and farmers markets are a primary source for seniors. Many seniors showed an interest in raised-bed and other forms of gardening. Concern about cost of obtaining healthy foods came up a lot. There is a perception that food is more expensive at farmers markets because seniors pay with cash. A lot of seniors felt access to fresh foods was good, but transportation to get to where they are sold was a barrier. Finally, seniors in wheelchairs or mobile scooters stated increased difficulty with accessibility to food sources. Through various focus groups representing Wabasha County, it was determined that seniors do not have great access to healthy fruits and vegetables due to financial constraints, barriers with cost when using public transportation, and challenges with food delivery to include cost and quality. It was determined that, with transportation, education, and affordability/funding, we can work toward overcoming these barriers and make healthy fruits and vegetables more available to our seniors. Wabasha County and the Food Access Network want to make healthy eating for seniors a number one priority. GOAL: To promote healthy lifestyles, offer a venue for personal interactions between consumers and producers, increase access to and consumption of local produce, and to build and strengthen our community. The Power of Produce (PoP) is a farmers’ market incentive program where children ages 4 to 12 receive a $2 token each week to spend on fresh fruits, vegetables and food plants at the farmers market. 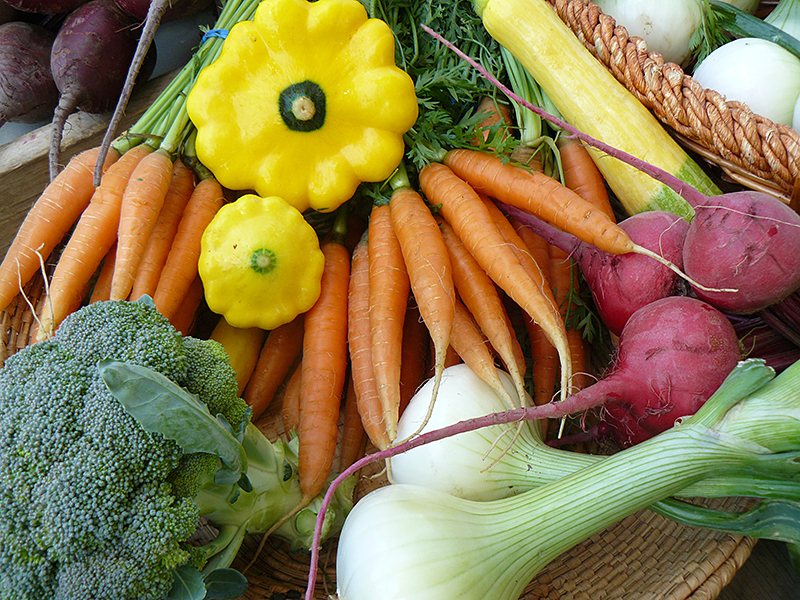 64 percent of families reported visiting the farmers’ market more often. Three out of five vendors reported an increase in sales. 85 percent of parents reported their children are interested in attending the farmers market more often. Click on graphic to read POWER OF PRODUCE 2017 REPORT. Wabasha County SHIP provided the Wabasha Farmers Market with items to support this project including cooking tools for children to sample products and signage to direct families to the event. Wabasha County SHIP provided the Wabasha Farmers Market with items to support this project including cooking tools for children to sample products and signage to direct families to the event. Sara George, Wabasha Farmers Market Manager, also saw a need for development in an aggregation program. The goal was to improve and increase sales from the farmers market to local schools, restaurants and other institutions. Included in this project was a way to deliver boxes of Farmers Market produce to community members unable to attend the market. This system included the process of creating an order taking and delivery system for the farmers market to increase community usage of locally-grown produce. This system also supports the local Wabasha-Kellogg Food Shelf. SHIP provided assistance to the Wabasha Farmers Market to reach its goal of providing produce to local restaurants, schools and institutions by providing support to get the needed supplies to deliver fresh food. Supplying the Farmers Market with the materials needed in this ordering and delivering system such as containers, table, tent and the conversion of trailer to trailer cooler for safe transport of fresh foods. And, it will be high-tech and will have an online ordering system ready for the 2018 season. Lastly, SHIP and the Wabasha Farmers Market wanted to improve consumer confidence with the Know Your Farmer, Know Your Food initiative. Farmers brought in pictures of how they grow their produce, their farming fields, and their farm, to each farmers market event for customers to see where their food was grown and invite opportunities for conversations and better relationships. This is also a way to educate customers about farming practices and ensure they are getting fresh produce. George and SHIP are extremely proud of these programs. Other Minnesota Farmers Markets have noticed the developments being made with our community market and are implementing similar aggregation projects. Great job team! -Sara George of the Wabasha Farmers’ Market. Our very own Sara George is recognized as a Minnesota Food Charter Champion. 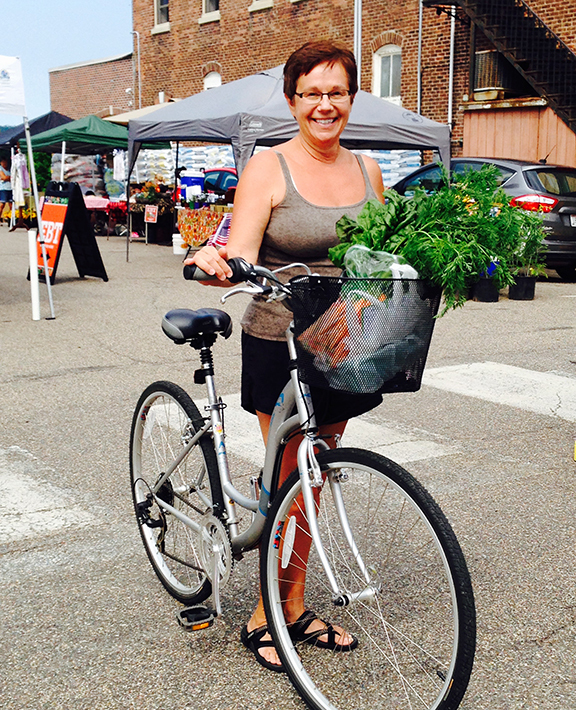 For Sara George, Wabasha Farmers Market Manager, food access means that everyone has a variety of healthy food choices available to them regardless of their income, budget, location, or education. Sara first became involved in improving healthy food access after she applied for SNAP/EBT benefits for the Wabasha Farmers Market. “It was then that I realized that there are many resources for families in need of food security, but it is not always clear who to turn to and what is allowed.” Sara became inspired and she started to recruit others in the community to spread the word about using SNAP/EBT at the farmers market. Read more on the Minnesota Food Charter website. "I didn't realize food mattered until I found myself in a situation completely out of my control. I was bit by a snake and one thing led to another and I found myself knee deep in numerous medical issues and needing help putting food on my own table for my family. Upon obtaining SNAP benefits, there was a limit to where we could go in our own community due to the food desert I lived in, plus the stigma associated with WIC was very sad and hard to overcome. This was a challenge for my own family and I wanted to change that." The importance of the Wabasha County Food Access Network. It all began with a letter. “EBT/SNAP CHAMPIONS! Let’s Unite!” wrote Sara George, Wabasha Farmers Market Manager, in 2016. The letter invited those interested to attend a meeting at Wabasha County Public Health to work on increasing EBT usage at the Farmers Market. Today this group continues to meet and work toward increasing access to healthy food across Wabasha County. Increasing access to affordable transportation.to access healthy foods. WCFAN now meets quarterly, facilitated by Tina Moen, SHIP Coordinator, and members from U of M-Extension, Wabasha-Kellogg Area Food Shelf, Lake City Food Shelf, 3 Rivers, Saint Elizabeth’s Medical Center, Lake City Thursday Market, Wabasha Farmers Market, Wabasha County Social Services and Public Health, Workforce Development, WACRC, Minnesota Food Charter, and Faith Lutheran Church. SHIP, the Statewide Health Improvement Partnership, runs through the Minnesota Department of Health and provides grants to communities to implement strategies to increase access to healthy eating, physical activity and a tobacco-free lifestyle. You and your friends or colleagues can work on/and or learn about healthy eating strategies. Please join our efforts! If you would like information on the Wabasha County Food Access Network, please contact Tina Moen, SHIP Coordinator, at 651-565-5200. Pastor David Knox using active transportation to attend the WCFAN meeting. Mini grant applications are due February 23, 2018. If you would like information on what it means to partner with SHIP on healthy eating, physical activity, and/or tobacco-free environment projects, please contact Tina Moen, SHIP Coordinator, at 651-565-5200. Elgin community garden has a new location! The Elgin community garden has moved to 1st Street SE across from the Ambulance Building. Check it out! Visit the Elgin community garden website to learn more or call Kim McHugh at 507-876-2291. Wabasha Farmers Market expands with the support of Wabasha County SHIP. While the Wabasha Farmers Market is a great place for residents to buy fresh and local fruits and vegetables, it’s now a place for local businesses to buy direct from growers. After more than three years of working to break through barriers that prevent farmers markets from being able to aggregate and sell healthy foods to local businesses such as schools, hospitals and restaurants, Wabasha Farmers Market obtained a Wholesale Food Handler’s License. This complements the work of SHIP in Wabasha County, and will support Wabasha-Kellogg School District, Wabasha County, and Saint Elizabeth’s Medical Center with Farmers Market Shares. The plan is to expand this service with vendor, community and grant support in years to come. This expansion in services adds to the good work by the market over the past several years. For example, Wabasha Farmers Market first accepted EBT (Electronic Benefits Transfers) starting in May 2013. Last spring, the market was approved to be included in the WIC Farmers Market Nutrition Program (FMNP). Market manager, Sara George, had been working on obtaining acceptance into this program since 2013. Because of her hard work, low-income women, infants, children and seniors will be able to use these benefits at the Wabasha Farmers Market. “Sara’s efforts to support healthy food access in this county are highly valued,” said Tina Moen, Wabasha County SHIP Coordinator. For more information on what it means to partner with SHIP in healthy eating, physical activity, and/or tobacco-free environment projects, please contact Tina Moen at tmoen@co.wabasha.mn.us. Wabasha Farmers Market season runs May 24th through October 2017. As seen on Wabasha Farmers Market Facebook page! View a video showcasing the new Wabasha Farmers Market walk-in cooler on the Wabasha Farmers Market Facebook page. "Thankful for the help and support of the Wabasha County Statewide Health Improvement Partnership (SHIP), Minnesota Farmers Market Association (MFMA), Minnesota Institute of Sustainable Agriculture (MISA) and Renewing the Coutryside (RTC). With a 2017 SHIP grant we were able to convert this trailer into a gorgeous walk-in cooler for our farmers market vendors to use to increase sales to local schools, hospitals, restaurants and even expand to doing a Market Share Box for members of our community! Also a shout out to local resident Lee Hamil who volunteered 47+ hours to convert this trailer for us. Way to go!!" What is Supplemental Nutrition Assistance Program? Supplemental Nutrition Assistance Program (SNAP - formerly known as food support or food stamps) participants can now use their Electronic Benefit Transfer (EBT) cards to purchase affordable and healthy food at more than 80 markets across Minnesota. EBT can be used to buy a variety of food including fruits, vegetables, meat, fish, poultry and dairy products as well as seeds and plants that produce food that can be eaten throughout the growing season. Using EBT at the market is easy. Once you’ve arrived at a participating market, simply look for the EBT information booth and buy market tokens with your EBT card. The EBT information booth is also where people can go to swipe their credit cards just like an EBT card and to receive tokens to be used at the market. Download a SNAP brochure here. If you need assistance to apply, contact Three Rivers Community Action at 507-732-8511 or email colleen.hansen@threeriverscap.org. What is the WIC Farmers Market Nutrition Program? The WIC Farmers Market Nutrition Program (WIC-FMNP) is associated with the Special Supplemental Nutrition Program for Women, Infants and Children (WIC). WIC provides supplemental foods, health care referrals and nutrition education at no-cost to low income pregnant, breastfeeding and non-breastfeeding post-partum women, and to infants and children up to 5 years of age who are found to be at nutritional risk. WIC-FMNP coupons can be picked up at the Wabasha County Public Health WIC office located at 411 Hiawatha Drive E, Wabasha. Learn more about the WIC Farmers Market Nutrition Program here. What is Senior Farmers Market Nutrition Program (SFMNP)? Senior Farmers Market Nutrition Program (SFMNP) provides low income seniors with coupons that can be exchanged for eligible foods (fruits, vegetables, honey and fresh-cut herbs) at farmers markets, roadside stands and community-supported agriculture programs. Learn more about the Senior Farmers Market Nutrition Program here. New community-based agriculture project in the City of Wabasha. With the support of Wabasha County Statewide Health Improvement Partnership (SHIP), the City of Wabasha Public Works Department announces the addition of another garden plot for the community. Volunteers will plant an assortment of fruits and vegetables on three gardens and its gleanings will be made available to the public, free of charge. Wabasha County coordinator Tina Moen (left) with Wabasha city employees Tony Johnson and Brandon Huth. There will also be a number of fruit trees in the same lot near the garden, providing apples, pears and cherries to start. There are plans to increase the size of the current garden from the current twenty plots. The growth depends on the funding received from donations and future grants. The garden opened May 15 and is located at the intersection of Franklin Avenue and Tenth Street West, 1006 Franklin Avenue. We need to thank Scheel’s SuperValu for donations of plants and potatoes for the garden. If you have questions about the community gardens, please call 651-565-4568. Plainview Public Library partners in a Rethink Your Drink Campaign. "Assistance from the Statewide Health Improvement Partnership was instrumental in helping us to open up conversations and generate excitement about making healthy choices." The Plainview Library undertook a Rethink Your Drink project in order to promote healthier choices for people using the library. The focus of our project centered on a new water fountain with an attached bottle filling station. This served as a catalyst to encourage staff and patrons to choose water over other beverages. We have also begun stocking our fridge with infusing items (berries, citrus fruits, mint, basil etc.). Early response has been great, with each staff member reporting they are choosing to drink water at work more than they used to. This conversation included public programming to support the Rethink Your Drink initiative. All of the preschool classes from the Plainview-Elgin-Millville School participated in a library tour and story time, which included a discussion about the importance of water in our lives and why it is important to choose water over sugary drinks. We invited all area school-aged children to an afterschool event with registered dietician Julie Jacobs. Julie led the children through hands-on activities that explored making healthy beverage choices. Participants got to see first-hand what sugar does to our teeth, how to figure the number of sugar cubes in a drink, and how to make flavored waters that contain little or no sugar. All participants in this event received water bottles to fill at the library's new water bottle station. We will continue offering water bottles as prizes for our Summer Reading program as a way to keep conversations about healthy drinks happening through the summer. In total, more than 140 children ranging in age from 3-14 participated in our Rethink Your Drink programming. This included public and private school students as well as homeschool students. To further our healthy choices theme, we are also offering a healthy snack station. Wescott Orchard donates up to 5 pounds of apples per week, which we put out for children on days when we have adequate supervision. Since we began this piece of the project on March 13, we have given out about 20 lbs. of apples which are being eaten with almost no waste. We will continue this project through the summer and then assess the need for adjustments and continuation. Healthy eating extended into our communities. Seeking to serve people with the greatest inequities and disparities, Wabasha County SHIP is working with food shelves to make healthy foods more accessible. U of M-Extension SNAP-Ed Annette Shepardson paved the way for partnerships with two Wabasha County food shelves when she instructed “Nudging at the Food Shelf,” which encourages consumers to make healthy food choices. Supported by U of M-Extension and SHIP, Plainview Area Food Shelf and Wabasha-Kellogg Area Food Shelves are working toward making the healthy choice the easy choice by offering recipes in a bag, new signage and enhancing their communications efforts. Tools and practices are being put into place to make the shopping process go smoothly for customers and volunteers. The food shelves have also received healthy donation flyers to distribute to those making donations. The commitment of all parties involved is admirable. Local champion is leading change in healthy food accessibility. Wabasha Farmers Market Manager, Sara George's enthusiasm for making healthy food choices available to Wabasha County residents and to making processes easier across the state is commendable. Sara's motto is “keep on swimming.” Sara met with Minnesota Department of Agriculture on April 25, 2016, with a team of experts to break through barriers that prevent farmers markets from being able to aggregate and sell healthy foods to local businesses such as schools, hospitals and restaurants. Following three and a half years of effort, meetings, emails and phone calls, Wabasha Farmers Market received its Whole Sale Food Handler License. Sara isn't just in this for her market, but hopes to pilot this project and become a mentor for others throughout the state. It's clear that Sara stays true to her motto. Wabasha Farmers Market has been licensed to accept EBT for two seasons and has supported Lake City Farmers Market and Winona Farmers Market in obtaining EBT. In April 2016 Wabasha Farmers Market was approved for the WIC Farmers Market Nutrition Program (FMNP). Sara has been working on obtaining this since 2013. Low-income woman, infants, children and seniors will be able to use their WIC benefits at the Wabasha Farmers Market! Sara George’s drive to serve Wabasha County in the best way resulted in her pulling people together in June 2016. The gathered group of includes individuals passionate about meeting the needs of Wabasha County residents to help grow accessibility to EBT. The meeting resulted in a kick-off of the local food access network with 14 members participating!